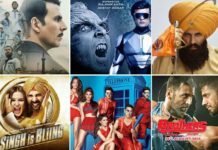 12th day Box Office report of Singh is Bling and Talvar – Akshay Kumar’s SIB is struggling at the Box Office while Talvar remains strong. 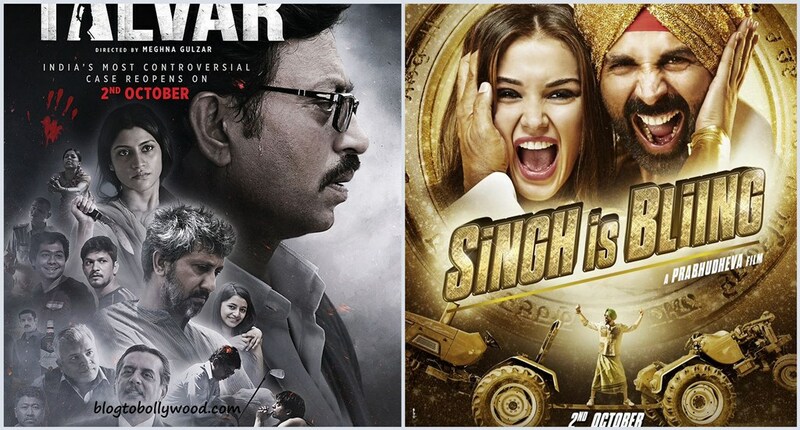 Akshay Kumar’s Singh Is Bling and Irrfan Khan’s Talvar were released on 2 Oct 2015. As expected Singh Is Bling opened to terrific response and collected 20.67 crores on the first day. Talvar on other hand being a small release collected only 2.5 crores. Both movies enjoyed a decent opening week at Box Office. Singh Is Bling collected 77.6 crores to become the second highest opening week grosser of 2015. Talvar despite being a serious and multiplex movie collected 15.55 crores. Well, the tables turned after the first week. 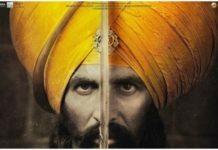 Singh Is Bling saw a big drop on its second Friday thus denting its chances to become first 100 crores grosser of Akshay Kumar in 2015. As per early estimates, the movie collected 1.1 crores on its 2nd Tuesday. SIB now stands at the total collection of 88 crores at the end of 12 days at Box Office. The movie is expected to wrap up its Box Office journey by the end of the 3rd week with the lifetime collection of around 95 crores. Talvar is still going strong at Box Office despite stiff competition with Aishwarya Rai’s Jazbaa and Akshay Kumar’s SIB. After raking in 15.55 crores in its first week, the showed superb growth in its second weekend. As per early estimates, the movie collected 1 crore on its 2nd Tuesday. Talvar now stands at the total collection of 24.6 crores at the end of 12 days at Box Office. Made on a budget of around 15 crores Talvar is already a big hit at the Box Office. Akshay Kumar’s bad luck continues as far as 100 crore club is concerned. This has been the case with all Akshay Kumar movies this year. His movies failed to capitalize on big openings and end up with the lifetime collection less than 100 crores. Stay tuned for ore Box Office updates. As mentioned these are not official figures. We will be updating final figures in our lifetime report.